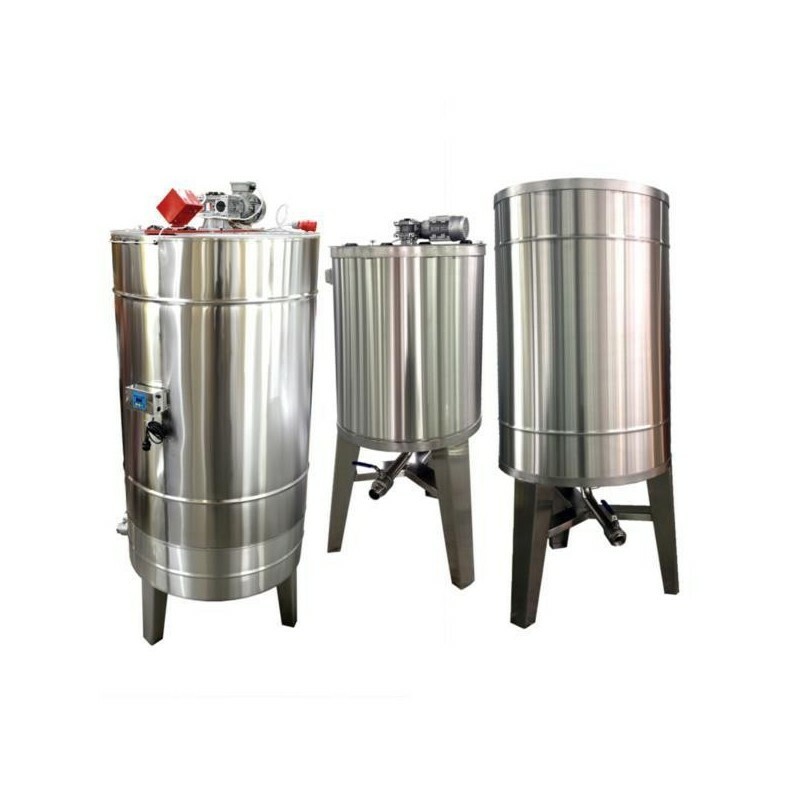 Tanks are made of polished stainless steel with the thickness of 2 mm. The bottom is conical, what allows to complete the draining. A ball valve 2" is placed in the bottom. Tanks have a reinforced stand made of stainless steel and a stainless cover. This is heated option.